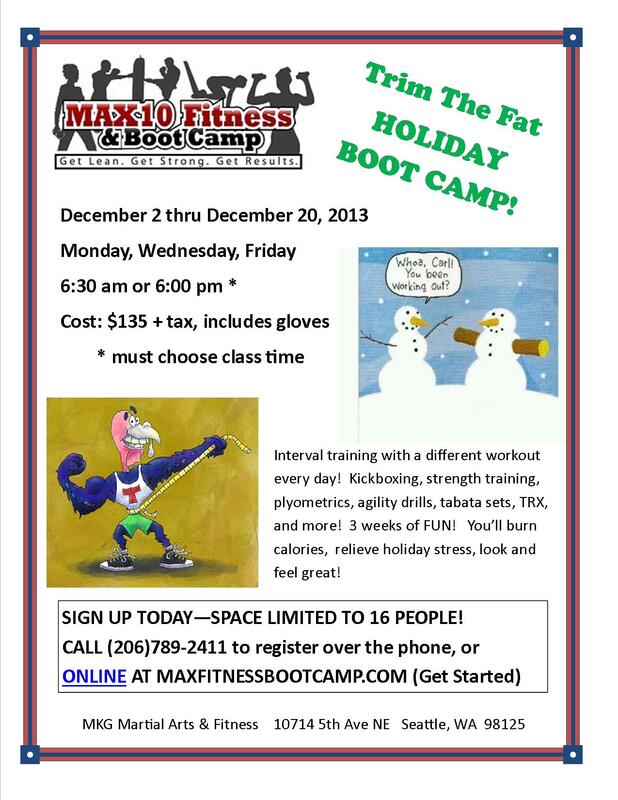 This camp is great for carving out a little “you” time during this busy season, offsetting the extra calories consumed, and for checking out what we do at MAX10 Fitness with very little “commitment”. Details are below. Sign up NOW (because space is limited and you don’t want to miss out) – you’ll love it!